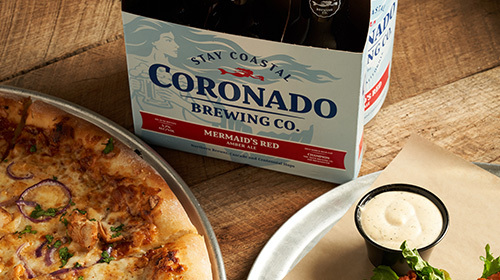 High Tide Bottle Shop & Kitchen | Voted Best Pizza In Coronado 2017! Available in 14" & 20"
Voted best pizza in Coronado 2016 and 2017! We offer gourmet pizza, fresh salads, local beer & wine, and premium spirits. 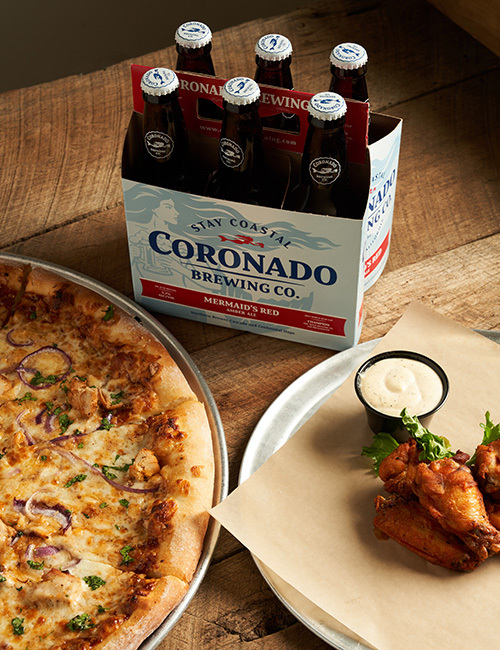 If you are visiting our beautiful city of Coronado, drop by for a slice of the locals' favorite pizza! Yes, we deliver beer and wine! Everything on our delivery menu can be delivered directly to your home or hotel room. Tom Latona, Owner and Coronado Resident. Tom has worked in Coronado Restaurants for 25 years and has loved this city since he first moved here. 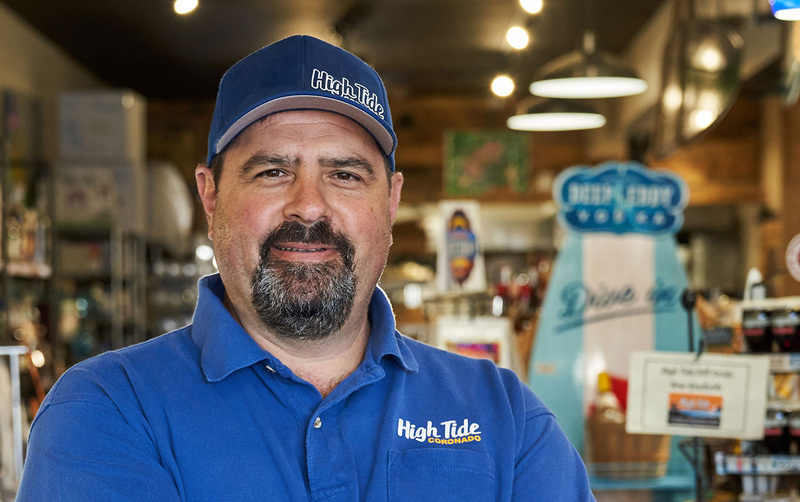 His background in Restaurant and Hotel Management combined with his love of cooking and good beers has helped him and his partners in the creation High Tide. Tom will tell you the best part of his job is being in the awesome community of Coronado, and being able to see his friends everyday while he is at work. Organic tomato sauce, mozzarella, pepperoni & oregano. Organic tomato sauce, mozzarella & oregano. Garlic cream sauce, mozzarella, vine tomato, fresh mozzarella, ricotta & basil. BBQ sauce, mozzarella, smoked gouda, grilled chicken, red onion & fresh cilantro. Organic tomato sauce, mozzarella, pepperoni, Italian sausage, mushroom, bell pepper, red onion, black olive, banana pepper, fresh garlic & oregano. Organic tomato sauce, mozzarella, Italian sausage, pepperoni, Canadian bacon, bacon & oregano. Romaine, mixed greens, cucumber, grape tomato, artichoke heart, red onion, roasted red pepper, kalamata olive, banana pepper & feta. Available naked, tossed in sauce, or dry rub of choice. Choice of house-made buttermilk ranch or bleu cheese for dipping. Roasted turkey breast, bacon, mild cheddar, avocado, vine tomato, red onion, mixed greens & chipotle aioli. 100% all-white meat chicken strips served with dipping sauce of choice. If you would like to place an order for delivery, take a look at online ordering for the full list, including beer, wine, and liquor products. Visits to local breweries and distilleries, vacations, and many dinner conversations have influenced our bottle selection. 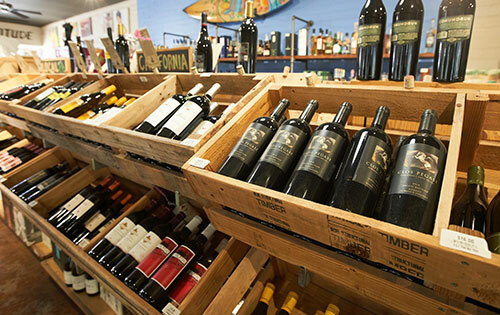 Largely inspired by Southern California family run operations we are proud to offer hand selected San Diego County Craft Beers, limited production California wines, as well as a selection of top-shelf and American made spirits. If we're missing something that you'd like us to carry, let us know! For fast, convenient ordering, try ordering online! Our inventory is always in sync with our online store, and your order will be sent directly to our culinary team. We love feedback! Your comments, ideas, and suggestions to better improve our service are always welcome. To get in touch directly with our management team, please fill out the form below. 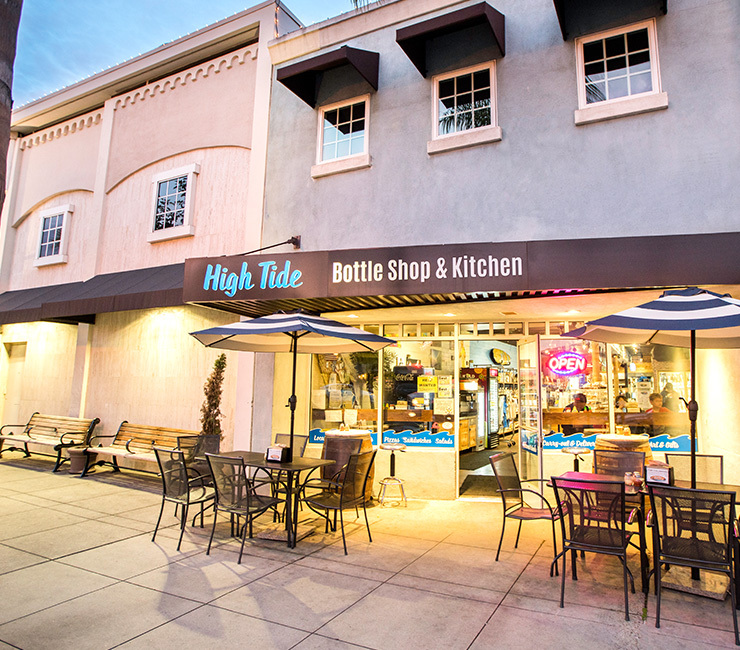 High Tide Bottle Shop & Kitchen is a neighborhood bottle shop and carry-out kitchen. A small group of friends got together one day for a simple barbeque and after some lofty conversation an idea was born with one goal in mind of creating something great for our community. Our mission is simple. Offer great craft bottles and amazing food available for carry-out or delivery. 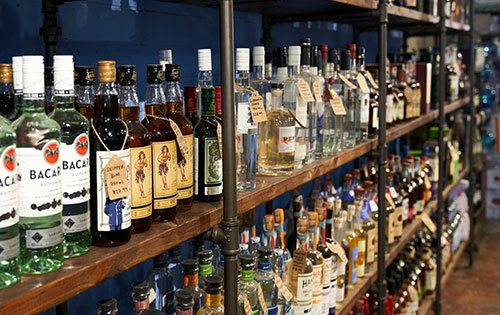 We deliver liquor, beer, and wine along with every item available on our menu and every item available in our store. We’re committed to our community, our customers, the quality of our food, and mindful of our impact on the environment. As we evolve and strive to bring you the very best experience possible, we’ll stay true to our roots and never forget what makes each bit of our success so special. You, our neighbors and visitors in Coronado!